There is a good chance you’re well versed with the importance of greenery in the wild, and all the great things that plants do for humans and our world’s ecosystems. However, while you might like seeing plants indoors, you might not realize that they are constantly offering a range of benefits beyond simply adding to aesthetics. Putting plants inside your house and place of work can greatly improve your life, health and more. Here are five unexpected benefits that you can enjoy if you keep plants in your indoor spaces. Plants naturally clean the air inside your home and office, ensuring the quality of the air that you breathe is healthier for you and your family. NASA recently tested indoor plants to see how effective they were at removing harmful toxins from our air, and discovered that many popular house plants were very useful. Plants line highways to cut down on road noise. They can also reduce noise inside your home or office, since they are able to absorb sound and deflect sound waves. 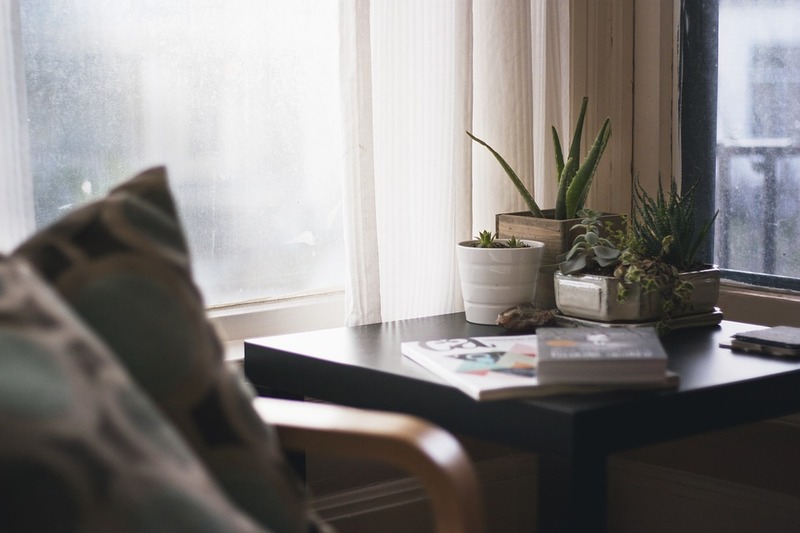 If you work or live in a busy space that keeps you feeling distracted or annoyed, try adding plants to make it quieter. Studies cited by a recent report by NBC show that indoor plants have been known to increase concentration, boost productivity and improve people’s moods. Reminders of nature can also help people feel more relaxed and calm, which can be helpful, particularly in an office or work space. Try adding plants inside your house or office to make it a stress-free, happy environment. Watering and feeding them can also be a fun distraction when you need a break from work. House plants don’t just remove chemical toxins from the air that we breathe, they also reduce the amount of dust that’s in a home, meaning you’ll have to dust, mop and sweep less. Researchers at Washington State University tested the effectiveness of plants at removing dust particles from the air, and the study showed that rooms with plants had 20 percent less dust than rooms that did not have plants. So, if you would like some natural dusting help, consider adding some plants to your space to help improve your life. Have you always thought that house plants were just inanimate objects? If so, it’s time to think again. That’s because house plants have been shown to increase the amount of empathy that people show, and make them more compassionate people. A study by Texas A&M University reported that people who spend more time around plants are much more likely to help others. They’re also likely to have more advanced social relationships. Having to care for nature in your space makes you naturally care for other beings, which means that the plants in your house can actually make you a nicer and more generous person. If you want to gather plants that you can place inside to improve your life or working space, get in touch with Texas Tropical Plants. We can help you design an indoor space using plants that is naturally beautiful, aesthetically pleasing and that helps improve air quality, health and more.